My girlfriend Antoinette and I just realized that we've known each other for almost 18 years already. Wow, where does the time go! Antoinette is an artist who excels in everything artistic from painting to sculpture to interior design to creating the most spectacular awarding winning cakes you've ever seen. Click HERE for a video on a DeLorean car cake that she did for a fund raiser. 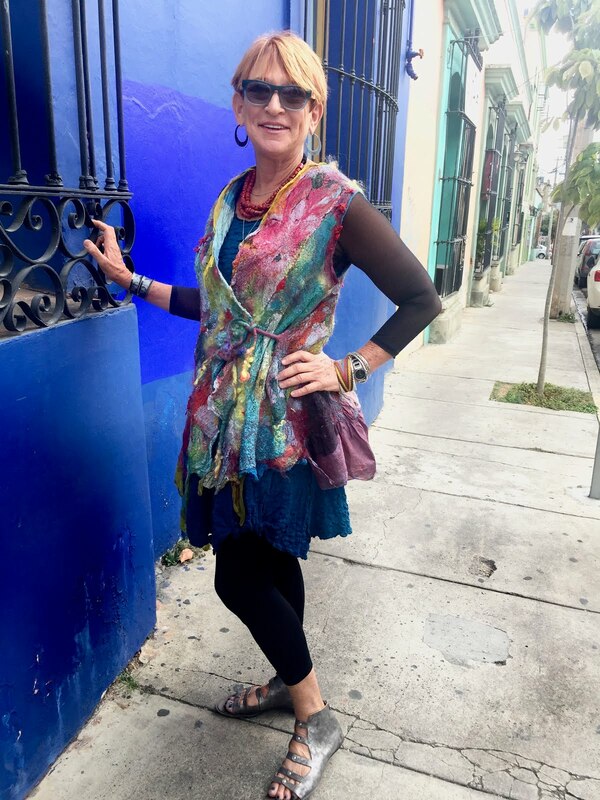 Recently she taught her grandsons how to batik on muslin which made me think that there would be a lot of synergy between batiking silk fabric and then nuno felting it. So we made a date to spend the day batiking and will soon follow up with a day of nuno felting our batiked fabrics. 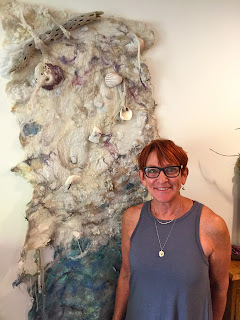 Stay tuned for a possible workshop combining batiking and nuno felting. Here's a video of us batiking our hearts out. Click the button on the bottom right to view it full screen. Here are a few of our finished batiks on silk fabric - china silk on the left, silk organza on the right.